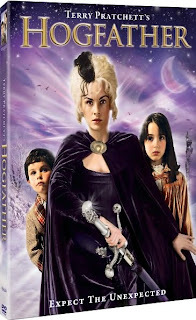 We are happy to report that the Sky One made-for-TV movie adaptation of the Terry Pratchett novel Hogfather is finally available here in the U.S. This unique holiday story (Hogfather, the Discworld version of Santa, goes missing, and Death is forced to take his place) is obviously meant for December viewing, but why limit ourselves? Pratchett stories are always in season.